Today I wanted to share with you all one of my favorite (and easiest) breakfast treats! If you are looking for a semi-homemade breakfast, this is perfect for you. 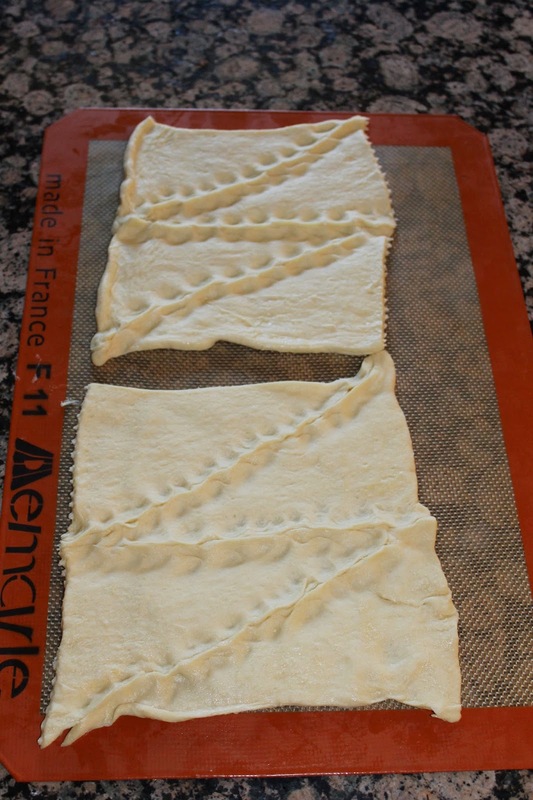 All you will need to start is a package of Crescent rolls. I tried to include as many pictures as possible so you can see each step clearly. Start by opening and unrolling the rolls. Lay them flat as shown, and pinch the pieces together (see picture). Flip it over and do the same on the other side. 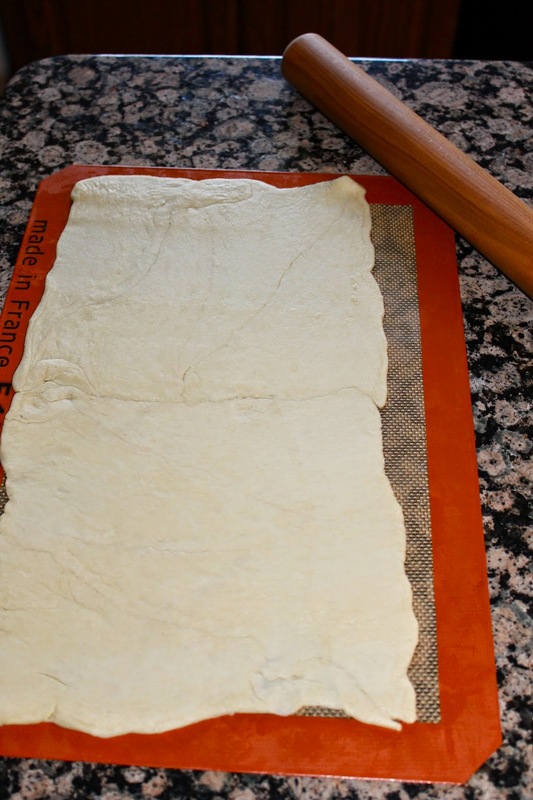 Then take a rolling pin and flatten the rolls so they will stay together better. Then melt 1-2 tbsp. butter and spread it onto the flattened rolls. Then sprinkle cinnamon and brown sugar (as much as you want). 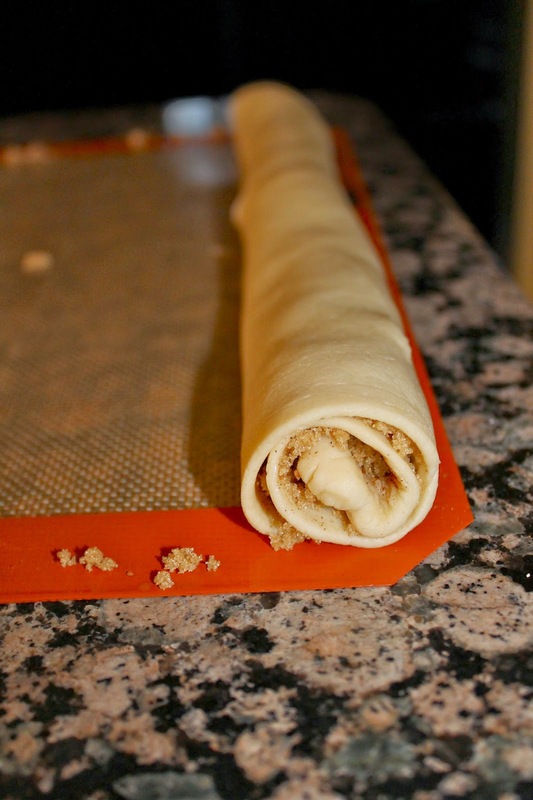 Then roll up the dough into one long log (see picture). Then to cut them apart you will need a serrated knife (I like to use the bread knife shown). Cut the roll into about 16 mini rolls. 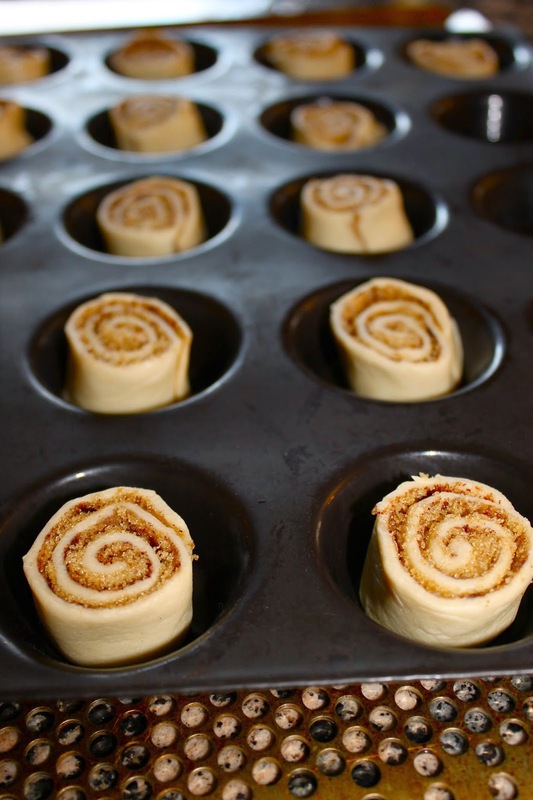 Place in a mini muffin tin and bake according to the directions on the Crescent roll package. While they are baking, mix together the frosting ingredients. When you take the rolls out of the oven put about a teaspoon of frosting on each mini roll. They are mini, but DELICIOUS! I love how little they are. Try not to eat the whole batch yourself :) Enjoy!